Whether you’re a seasoned sealcoating contractor or new to the business, happy customers are your number one priority. Here’s a quick breakdown on how to do your best sealcoating work and do it efficiently. 1. Know when it’s right: From temperatures and freeze/thaw cycles to precipitation and traffic, there are a lot of factors that impact the material integrity. The key is to be proactive. Check in with clients at least every two years and inspect the area if needed. 2. 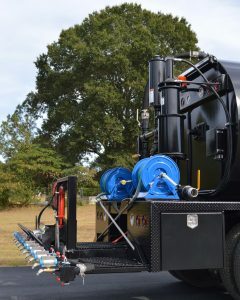 Choose the right pump: Be sure to choose a pump that can handle jobs efficiently. 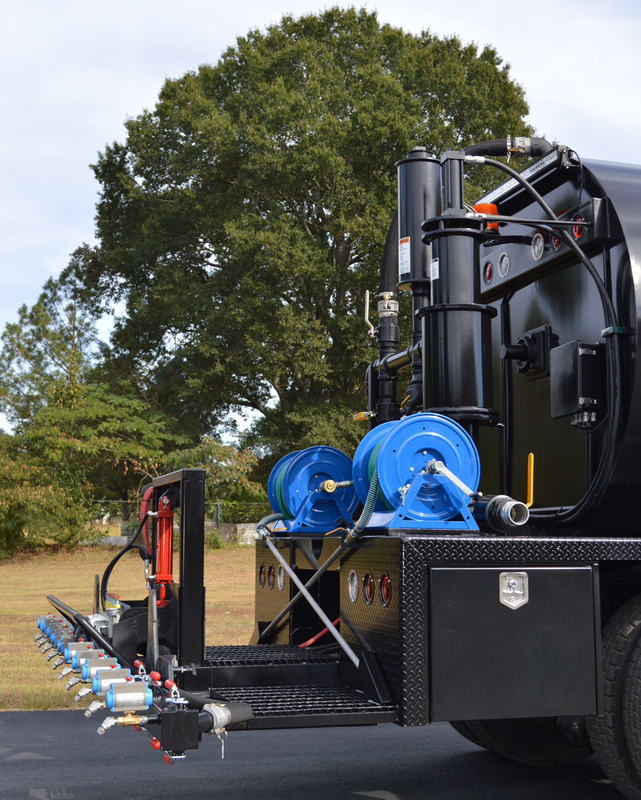 A piston pump, for example, can handle mixes with 7-8 pounds of sand per gallon of sealer and can move material as much as 40 percent faster than diaphragm pumps. This allows you to get large jobs done faster. 3. 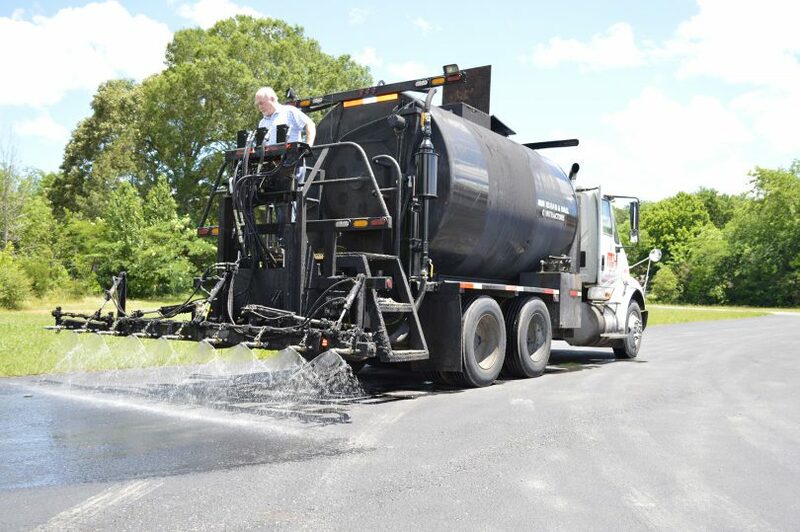 Blend the ideal mix: Use at least 1- 3 pounds of sand per gallon of sealer to provide the right grip for safe use by both vehicle and foot traffic. 4. Environmental conditions: Take on projects when the temperature is just right — at least 50 degrees Fahrenheit and rising, and with plenty of sunlight. 5. 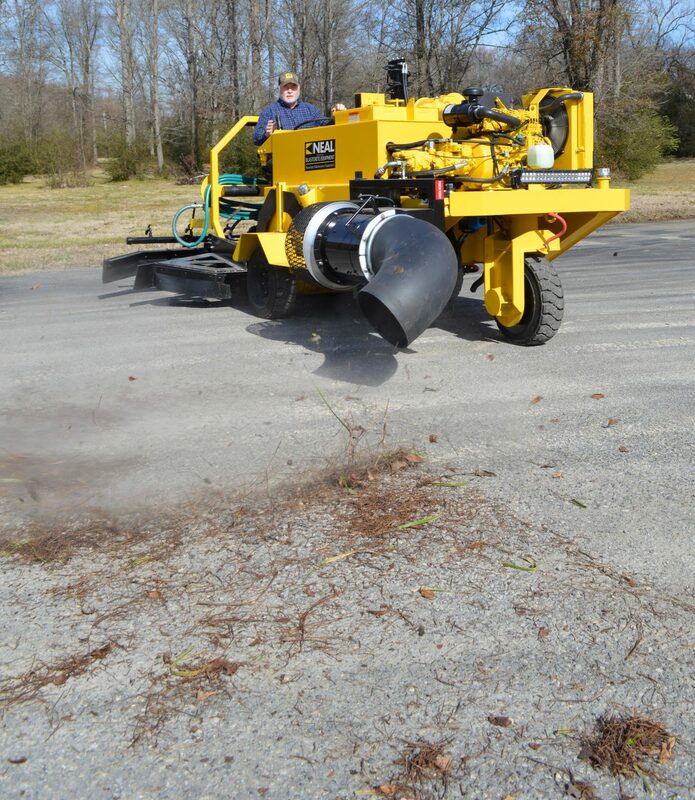 Cleaning the surface (fast): Use a wire bristle brush to remove stuck mud and a high-powered blower to remove debris and thoroughly dry the surface. 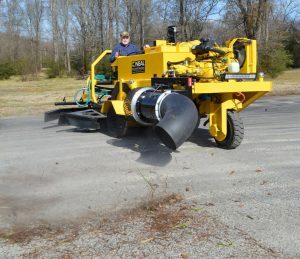 The best way to save time doing this is with a sealcoating machine that has a built-in high-powered blower. This is not only convenient, but the blower offers three times the output of walk-behind models for fast prep work. 6. To squeegee, spray or both? For the highest-quality, longest-lasting results, a dual application method is ideal. First, apply the sealcoat using the squeegee method and then follow up with a spray application. This sealcoat will last 40 percent longer than either method alone. 7. Cutting-In: Save time with a sealcoating machine that has an automatic cutting-in attachment that cuts in sealcoat along curbs as you go. When you pair your machine with a blower attachment, you can complete prep work as much as seven times faster. And with fewer people, you’ll enhance productivity and minimize costs. 8. Clean equipment: The best way to save time cleaning equipment is by using a pump that does not need to be maintained daily. Piston pumps, for example, have leather seals so they don’t require daily upkeep. Gear pumps and diaphragm pumps, on the other hand, might need daily washing or have gaskets and steel wear plates around the seal that need frequent replacing. Regardless of which pump your unit has, perform the necessary short- and long-term maintenance to avoid unexpected downtime and repair costs. Learn more about how to minimize machine maintenance or how to complete four tasks with one machine.